In January 2006, King Mohamed VI of Morocco announced the launch of the Bouregreg Valley redevelopment project, soon to become the largest urban renewal project in the history of the Kingdom. The project is the centerpiece of the monarchy’s efforts to rebrand Rabat as a “city of light” and the “cultural capital of Morocco.” The aim is to heighten Rabat’s competitiveness among major globalized modern metropolises. Official rhetoric surrounding the project tells the story of reinvigorating the city’s cultural heritage and authenticity, while promotional materials picture Europeans and wealthy Moroccan consumers strolling along gleaming new promenades. The state pours money into the project, promising that it will create a better life for citizens of Rabat and Salé. Meanwhile, the same people the project claims to benefit question whether they will even have a place in the newly redeveloped river valley. The Bouregreg Valley project illuminates the way market-oriented reform in the Kingdom has changed the state’s role from a developmental state to a broker, creating new modes of cooperation between public institutions and private actors and setting market policies (Zemni and Bogaert 2011). This neoliberal shift, however, has not diminished state power or the position of Morocco’s political elites. Through new institutional structures established to plan and implement megaprojects, the state may exercise more direct, but in many ways less visible, forms of power. The Kingdom, like other countries in the region, embarked on a nominal process of decentralization, devolving political power to lower government bodies and implementing more democratic processes. Yet, the Bouregreg Valley project illustrates one way in which the entrenched political elite has not loosened its grasp on power, but by creating linkages with private sector partners, has actually consolidated regime power at the top. At the same time, however, the project has given rise to new practices of public engagement around the way the city is redesigned and managed. Residents of Rabat and Salé impacted by the project have mobilized to defend their right to a say in the project’s outcomes and the procedures surrounding its implementation. They have won some limited victories in the form of concessions after negotiations with the state, but the project, on the whole, signals that the Kingdom seeks to redefine itself according to the desires of an elite global consumerist class, even to the detriment of Moroccan citizens. As part of Tadamun’s Mapping Regional Urbanism project, this brief explores numerous facets of Morocco’s largest development project, the impact it will have on those living and working in the area, and the various strategies the people affected are employing to protect their right to determine the future of their city. In the past two decades, megaprojects have become a dominant feature in contemporary MENA city planning (Barthel, 2010). In Morocco, megaprojects have proliferated since the mid-1980s when the Kingdom embarked upon a series of large-scale redevelopment projects in Casablanca. In 1986, Mohamed VI’s predecessor Hassan II launched the Grand Mosque project, the redevelopment of the Corniche, the still unfinished Avenue Royale, and a new residential development on Casablanca’s outskirts, Cité Nassim. Cité Nassim was built to rehouse residents displaced by the other three projects, revealing a common reality of many megaprojects: they sweep away what was there before to build something new and in that process uproot the very people they are marketed to help. The term ‘megaproject’ is a somewhat vague catch-all used to describe a wide variety of large development projects, but there are some distinguishing criteria: physical size, magnitude of investment (exceeding the symbolic one billion dollars), and the commitment of both state and private investors with deep pockets (Barthel 2016). Projects designated as megaprojects often have close ties to the state’s highest authorities and take on national, presidential, or, in the case of Morocco, royal identities. Megaprojects share common urban forms (public spaces, shopping malls, marina and eco-city facilities, and compounds) and objectives (Barthel 2016). Perhaps most importantly, megaprojects more often than not have an outward focus: they aim to propel cities to the top of a global urban hierarchy and showcase their cities as desirable investment locales. Another important component of the megaproject model is their financing and mode of implementation. Especially in the MENA region (but also elsewhere in the world), private sector actors play a key role in the financing, planning, and implementation of such projects. These two elements—showcasing cities as desirable investment locales and attracting private investors—intersect in what Anna Tsing (2000) calls an act of “conjuring,” whereby the project’s success and transformation of the area in which it is located is imagined as real and definite, before it is even begun. “In speculative enterprises, profit must be imagined before it can be extracted; the possibility of economic performance must be conjured like a spirit to draw an audience of potential investors… In order to attract companies, countries regions, and towns must dramatize their potential as places for investment. Dramatic performance is the prerequisite of their economic performance” (Tsing 2000, 118). As such, megaprojects are often at the center of narratives about the future of a city, a region, or a state, portrayed as the key to that place’s entry into the global twenty-first century, and all of the wealth and profit that will accompany that transformation. True to the megaproject model, the Bouregreg Valley redevelopment is a royal project launched directly by the King and presided over by political elites with close ties to the monarchy. Two months prior to the official launch of the project, Law 16-04 established the Agency for the Development of the Bouregreg Valley (AAVB) as a financially autonomous state agency, and the King appointed Lemghari Essakl, an influential royal advisor and director of a branch of Morocco’s state-owned investment vehicle (CDG), as Director. The project is enormous in scale. It extends over an area of approximately 6,000 hectares (approximately 15,000 acres) and is located on the Bouregreg estuary, between Rabat and its sister city, Salé. The project is to be implemented in six stages and includes plans for the development of up-market residential areas; tourist, cultural, and leisure facilities (a port for cruise ships, a theater, an amusement park, a golf course); transport and port infrastructure (a tramway, two marinas); improving the river’s water quality; and conservation of historic buildings and rehabilitation of unsafe dwellings (Mouloudi 2010, Zemni & Bogaert 2011). The first two phases of the project—Bab al Bahr and al Saha al Kabira—are currently under construction, and the other four phases of the project are still under development. A combination of public funds and investment from large international real estate and construction firms fund the project. The first stage, Bab al Bahr, is a joint venture between the AAVB and Al Mabaar, a Dubai-based property development company. Image 1: Rendering of auditorium inside the planned Grand Theatre de Rabat, designed by Zaha Hadid architects. Promoters and supporters of the Bouregreg Valley redevelopment maintain that the project will achieve a long list of development goals and imperatives: it will improve living conditions of disadvantaged groups, promote existing businesses, reinvigorate the capital’s cultural heritage, attract foreign investors, generate growth through increased commercial activity, increase land value, boost tourism to the area, and protect the ecosystem (http://www.bouregreg.com/?lang=en). “Citizenship” is one of the pillars of the AAVB’s mission statement; the agency makes an explicit commitment to prioritize the demographic, social, and economic characteristics of the local population and ensure that the project will be designed to meet existing needs. From the start, the Monarchy, state officials, and their private partners have framed the project through the lens of the public interest, painting a picture of a new, modern public space, which would bring prosperity and enjoyment to Moroccan citizens and international players alike. However, (and perhaps unsurprisingly) the project has been criticized for pandering to wealthy investors and their desire for profit at the expense of the area’s residents and daily users. The question of whose interests the Bouregreg Valley redevelopment ultimately serves is inextricably tied to questions of urban governance and the particular institutional and political processes the state has pursued in order to carry out the project. Real political power in Morocco resides within the makhzen, a term used to refer to the political elite including the King, high-level civil servants, major landholding and economic interests, politicians, and businessmen (Clarke 2018). Beyond these actors, the makhzen extends from the King through both formal and informal networks of power made up of members of Morocco’s most influential families in politics, the military, and business (Claisse 1987 in Clarke 2018). The makhzen exercises its power through a system of patronage and clientelism, and despite much talk of movement towards decentralization and democratization, this model of authority grows stronger through increasing linkages with the private sector (Clark 2018). The creation of the AAVB as an independent government agency with the authority to act with little obvious oversight appears on the surface to be the state devolving power to a separate governing body, but in reality, the AAVB is a powerful tool whereby entrenched political actors may create strategic ties with powerful Moroccan and international economic actors. The makhzen is “omniscient and omnipresent” (Clark 2018, 60) and its hold on the AAVB revealed by the fact that the head of the agency, Lemghari Essakl, is one of the King’s most influential advisors. The AAVB—the state agency established to preside over the project—is at the center of this question. The Agency for the Development of the Bouregreg Valley has taken on an incredible range and depth of powers, many of which infringe upon the rights of Moroccans living and working within the project area. The creation of new, specialized government bodies to plan and administer large-scale urban projects is not unique to the Bouregreg Valley project—we can observe this in megaprojects all over the MENA region and elsewhere throughout the world. For example, in Egypt, the New Urban Communities Administration, manages the planning, construction, provision of services, and administration of new cities built since 1979. It is charged with building affordable housing for lower and middle-income families, but their apartments are still unaffordable for most of the target population (Tadamun 2015). In Morocco, the AAVB is exceptional in terms of the nearly absolute power the state has granted it over the 6,000-hectare project site (Bogaert 2018, Mouloudi, 2010). The same law that established the AAVB grants the agency exclusive authority over the project, conferring upon the agency all responsibilities of the local municipalities, prefectures, and the Urban Planning Agency of Rabat-Salé within that area (Bogaert 2018). The AAVB has power over zoning, public inquiry, land allocation for construction, construction permitting, regulation of all deeds of sale, and the expropriation of private land within its territory (Mouloudi 2010, Bogaert 2018). The agency’s powers have completely bypassed those of local elected authorities and, now the governing body with authority over the area is one appointed directly by the monarchy rather than one accountable to the people through elections. The AAVB is the key vehicle through which the project has proceeded without public oversight. The enormous impact of the AAVB’s authority over Moroccans living and working in the area is particularly apparent in the agency’s power to expropriate land and relocate residents and transform the uses of the area by many who had typically come to work, shop, or frequent the area. More than half (56 percent) of the 6,000-hectare development area for the Bouregreg Valley project was owned by private individuals (Mouloudi 2010). The regular law governing expropriation in Morocco stipulates that the state may only expropriate land to promote the public interest and is limited to the construction of roads, green zones, public facilities (schools, hospitals), or zones that need to be restructured or renovated. Law 16-04 in 2005 (which originally established the AAVB) however, created a special expropriation procedure, which allowed the AAVB to declare all operations within the project area necessary for the successful completion of the project as within the public interest (Bogaert 2018, Mouloudi 2010). This includes areas to be resold to private individuals. The law also allows the AAVB to pay landowners a fixed price for land, determined by the land’s value at the time the law was passed (November 2005), regardless of when the property is expropriated or any increase in the land’s value (Bogaert 2018, Mouloudi 2010). Therefore, residents may be forced to sell their land to the AAVB for a price far below market value and the AAVB may turn around and resell that property at a profit. Two informal housing areas—Mellah and Fondouks—are also within the area. The AAVB’s website lists the ‘eradication’ of these two areas as key components of the project’s mission without any concern for the consequences on people living there. The AAVB does not provide any additional information on exactly what this ‘eradication’ would entail. The AAVB also has the power to suspend the activities of those working in or around the project area, and relocate them elsewhere (Bogaert 2018, Mouloudi 2010). Shortly after the launch of the project, the AAVB released a Special Development Plan (SDP) detailing plans to expropriate and relocate landowners and residents, as well as plans for suspending fishing and boating activities in the area. The expropriation plans revealed areas to be taken over by the agency and the terms for compensation. They notably contained no protocol whereby residents could contest compensation amounts for expropriated land and properties if they believed them to be unfair. The AAVB also approached boat owners and fishermen, since their livelihood would be directly affected by the construction of a new port. Boat owners would have to suspend their activities for two years and the AAVB would compensate them for their wage losses. Fishermen would be relocated to new docks. Hicham Mouloudi studies civilian responses to the Bouregreg Valley project and explores the various ways in which different groups have mobilized to protect their interests in the face of potential expropriation or the loss of their livelihoods. He explains that, in response to the SDP, residents directly affected by the plan and those whose livelihoods were affected (but who did not necessarily live in the area) came together and adopted a two-fold protest strategy: they worked directly with lawyers to advocate for their legal rights to their homes and economic activities and they started a public outreach campaign to raise awareness about the expropriation process (Mouloudi 2010). Trade unionists, members of associations, local politicians, and individuals all mobilized to defend one cause: “No to the Special Development Plan of the Bouregreg and No to Expropriation” (Mouloudi 2010). A group of residents seeking to defend themselves from expropriation contacted the National Forum for Protection of Public Property in Morocco (NFPPPM)—a Moroccan legal advocacy group. NFPPPM decided to deviate from the primary focus of their association (defending public property) and instead support the residents’ rights against the unfair expropriation of their property (Mouloudi 2010). NFPPPM set up a coordinating committee and in three months brought together seventeen associations also opposed to the project. They organized two sit-ins, eight press releases, and published a 2008 paper highlighting the legal illegitimacy of the expropriation process (Mouloudi 2010). Mouloudi writes that this was partly successful: when residents of Bab Chaafa-Sidi Ben Acher mobilized, aided by the NFPPM, this forced the Bouregreg Agency to move away from its strategy of land expropriation in this area and find other solutions (Mouloudi 2010, 240). What these other solutions are, however, is not clear. The elected Salé Municipal Council also opposed the SDP due to the expropriation process. Over 70 percent of the project area is located within Salé city limits and many more residents of Salé risked expropriation compared to their Rbati counterparts (the Rabat Municipal Council unanimously approved the Bouregreg SDP) (Mouloudi 2010). The Salé Council held two meetings: one open to the public, which was packed with protesters carrying signs reading “Yes to Investment, No to Land Plundering,” “No to Exploitation,” “Yes to Investment, Yes to Transparency.” The second was a debate with the Director of the AAVB. After these meetings, Salé Council members proposed two solutions for protecting residents from harmful expropriation: (i) a more collaborative planning process, which would involve landowners; or (ii) a more just compensation process, which would pay expropriated residents for land that had increased in value (Mouloudi 2010). In the end, the AAVB did not implement the Council’s recommendations. It expropriated the residents and businesses in the Kardona quarter of Bab Lamrissa to clear the area for a new bridge and new apartments and relocated 137 families from informal housing areas to make way for the maintenance of the new tramway (Bogaert 2018). The Agency also expropriated 259 houses and small businesses in Rabat’s old medina (Bogaert 2018). The AAVB’s authority to expropriate and relocate residents and daily users in the project area highlights some of the ways in which the agency enjoys special legal powers and may exercise those powers to the detriment of citizens. The examples also demonstrate various modes of resistance that the project has prompted among citizens affected. In some cases, protest was successful, or partly successful. Mouloudi describes an instance in which residents of Bab Chaafa-Sidi Ben-Asher, an area of substandard housing, organized five sit-ins in front of the Moroccan Parliament and successfully pressured the AAVB to abandon plans to expropriate houses in that area, or at least to temporarily freeze it (Mouloudi 2010). In others, citizen engagement seems to have had little to no impact on the actions of the AAVB. This raises the issue of whose interests the project really prioritizes if the main government body in charge of planning and overseeing it is largely uninterested in the community’s assertions that the redevelopment process is actively harming them. Boat owners joined in protest against the AAVB to oppose the compensation terms for the two-year suspension of their activities on the river. They formed a professional association to successfully negotiate directly with the Agency different compensation amounts for full-time, part-time, and seasonal boat owners (Mouloudi 2010). However, some of the boat owners reported that the Agency terminated compensation before they were permitted to resume work (Mouloudi 2010). Fishermen founded the Bouregreg Cooperative in 2009 to protect their interests. They complained that they had not been consulted in decisions regarding their new docks: the water around the docks was too shallow and resulted in frequent engine breakdown and the new fishing port was located too far away from the original port’s location, imposing additional travel costs on the fishermen and fishmongers (Mouloudi 2010). The Cooperative helps its members act by purchasing equipment and marketing and selling fish, but it also proposes solutions to issues that the AAVB does not resolve (Mouloudi 2010). The fishermen’s success in negotiating with the AAVB is unclear from the available literature on the topic, but their creation of a cooperative to develop their own solutions for problems imposed by the project is an important development. There used to be restaurants along the river. Now, people don’t really eat here anymore. They stroll along the quay and drink one coffee. I used to be kitchen help. Now I am a waiter. My wage dropped from 2,000 to 1,600 dirhams. My salary thus declined . . . Shopping center or theater . . . what’s the difference? I cannot afford it with my wage. I have to pay for a house and maintain a family. Sometimes, I can consume something here [talking about one of the new bars along the quay] because I work here and I get a free coffee. All these changes . . . they are not for us. These are all luxury things. They are meant for people with money, not the average citizen (Hammou 2016, in Bogaert 2018, 159). Image 2: Rendering of planned mixed-use residential and commercial area featuring luxury retailers in Bab al Bahr. Source: Website of architect Abdelouahed Mountassir. Indeed, Moroccans face daunting challenges in terms of economic and social development and one is left wondering if a megaproject in the Bouregreg Valley is really the best use of the Kingdom’s resources and focus at this time. Economic growth in Morocco is relatively high, at 4.4 percent in 2017 and a projected 3.1 percent rate for 2018 (according to the International Monetary Fund), but this growth has not translated into meaningful quality of life improvements for the majority of Moroccans. Since 2014 unemployment has risen from 9.9 percent to 10.8 percent in 2017 and youth unemployment is over 20 percent. In much of the north of the country, the youth unemployment rate is as high as 40 percent (“As Morocco’s Economy Slows…” 2018). In late 2016, protests broke out in the northern Rif region, where demonstrators demanded jobs, hospitals, and other basic facilities. These protests, which continued on and off for months, prompted King Mohamed VI to dismiss regional officials. Meanwhile, workers are wrapping up construction on Marchica, one of seven eco-resorts planned for the Kingdom’s north coast under the King’s ten-year plan to boost tourism. Many of the new roads have tolls and so poorer Moroccans must travel on the older dangerous and dilapidated roadways and the new high-speed train would be a luxury for the average family (Fore 2018). As a state agency, the AAVB is considered to act in the public interest. In this case, however, state power is used to dispossess both public and private land in order to bring the valley into the global circulation of capital in a way a private investor could never do. In other words, the task of the Bouregreg Agency is to ‘liberate the land’ and bring it into the global real estate market. The imagined end result has little to do with the public interest (2018, 146). The AAVB blurs the line between public and private, using state power to empower private actors to exert influence over public spaces and the people who live in and use them. Bogaert (2018) traces the way private investors’ decisions have shaped the project, often marking a departure from the project’s original plans. A Royal Commission made up of politicians, state managers, planners, architects, urbanists, consultants, and royal advisors originally designed the first phase of the project, Bab al Bahr, to include a public open space in front of the Salé medina, intended to strengthen ties between the two sides of the river. The commission planned this area for the local population with activities like picnicking, walking, and games, and specified that it be designed with less population density to accommodate a larger variety of uses by the two cities’ residents. In the end, however, the commission abandoned the plan for this open public space. The Head of Project Finance and Partnerships of the AAVB admitted in an interview with Bogaert that ultimately the building site was densified in order to increase profitability (Bogaert 2018). Bogaert concludes “Yet, in the end, the future city will not so much be decided by planners, urbanists, politicians, or even taxpayer’s money but by private investors looking for a high rate of return” (Bogaert 2018; 148). In the megaproject-centered development model, urban governance is increasingly dependent upon global capital and urban residents often have the most to lose. In the case of the Bouregreg Valley redevelopment, the Kingdom has created a new institutional structure—the AAVB—through which it is able to reconfigure state power and forge alliances with influential private sector actors. The result of this arrangement is the reorganization of public space more oriented toward wealthy investors and consumers than toward residents or daily users of public spaces—a creation of exclusionary and exceptional spaces, which are not officially private but which function as if they were. The absence of any mechanism to hold the AAVB accountable to the people living and working within the project area or to incorporate public comments and feedback into the planning and implementation process, is a testament to how little the state is concerned with public buy-in into the project. Some observers of the Bouregreg Valley redevelopment are moderately optimistic that the limited inroads that concerned citizens and civil society groups have made through public protest and negotiations with the AAVB are a sign that the Kingdom is opening up the urban planning and policy decision-making process to more robust public engagement, or at the very least that these projects have helped invigorate civil society. Mouloudi (2010), for example, concludes that the project has opened up the possibility for new modes of civic engagement and participatory planning—and that it has prompted Rbati civil society to mobilize. He points to instances of negotiation and compromise and argues that these practices were rare in previous urban project management processes. Barthel and Vignal (2014) also conclude with a somewhat rosy vision of megaproject development in the Kingdom, referring to Morocco as a “true pioneer” in the region. They cite evidence that developers and their state counterparts have taken steps to promote the social and economic integration of newly developed areas into existing spaces, and to target investment according to public need. The examples Barthel and Vignal provide, however, appear limited in scope and unrelated to the Kingdom’s higher-profile projects, such as the Bouregreg Valley redevelopment. Other observers, like Bogaert, remain pessimistic. Bogaert (2011 and 2018) posits that this development approach allowed the monarchy to create new forms of state power through new institutional arrangements, whereby the state facilitates and coordinates redevelopment of social spaces according to capitalist strategies. He argues that, through the creation of special agencies, this process has actually made civilian participation in development plans more elusive. He refers to the Bouregreg Project as “a particular case of a more globalized form of authoritarian government” (Bogaert 2018, 126). Megaprojects like the Bouregreg Valley redevelopment highlight the tensions that can emerge between citizenship and private interests. Such projects are intended to propel countries to the forefront of the global economy, but this often happens to the detriment of citizens. They create immediate profit for those involved in the construction, marketing, and sale of megaprojects, but profits and the promised economic growth inevitably do not trickle down into the hands of ordinary citizens. In fact, they often worsen the lives and economic and social circumstances of those citizens who are relocated and displaced from their homes and neighborhoods. Whether or not residents’ protests result in meaningful policy shifts on the part of the state, those forms of resistance are important and worth highlighting. Untangling the web of political and private sector forces involved in setting the agenda and determining the end result for megaprojects like the Bouregreg Valley redevelopment is crucial to understanding how and why changes to the built environment affect the people they do. Tadamun’s Mapping MENA Urbanism initiative explores the variety of perspectives and approaches that MENA publics, professionals, and activists are employing in their efforts to respond to shared urban challenges. Megaprojects and the megaproject model confront citizens throughout the MENA region with similar difficulties in terms of advocating and defending their right to the city in the context of rapidly globalizing modes of urban development. A key issue of concern for the Moroccan public and others is the lack of representation and elected officials in the planning and implementation of these projects. Concentrating power in the Agency for the Development of the Bouregreg Valley and usurping normal planning and governing processes in Morocco that provide transparency, or at least public deliberation and some eventual accountability, leaves citizens with little recourse to decisions motivated almost entirely by private interests. Certainly, large scale development projects are complex and involve varied interests, but in the Moroccan case, and in many other megaprojects in the Middle East, it is not only that private interests trump public interests in the end, but that, in the beginning, the affected residents are prevented from exercising their citizenship rights and deliberating about the new urban designs and project objectives. Further study of the Bouregreg Valley project in the near future will reveal whose interests have been best served and how powerful institutional structures like the AAVB have distorted the rights of Moroccan citizens and residents of these transformed spaces. In this context, the term developmental state is used to describe a state that serves as the primary provider of housing and new development, and in which private sector developers play a limited role in these functions. Hicham Mouloudi’s in depth analysis of civilian and civil society responses to the Bouregreg Valley project, “Reactions ‘From Below’ to Big Urban Projects: The Case of Rabat,” is an invaluable resource on this topic and one of the only secondary sources of information on social mobilization in reaction to the project available to researchers. The bulk of the information on this topic in this section is taken from his work. Altshuler, A. & Luberoff, D. ( 2003 ). Mega-Projects: The Changing Politics of Urban Public Investment, Brookings Institution, Washington, DC. Barthel, P. A. (2016). Morocco in the Era of Eco-urbanism: Building Critical and Operational Research on an Emerging Practice in Africa. Smart and Sustainable Built Environment, 5 (3), 272-288. Barthel, P. A. & Planel, S. (2010). 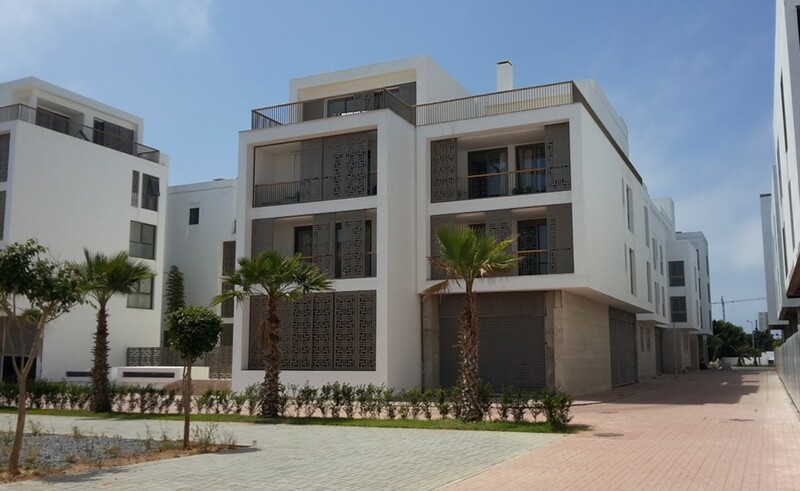 Tangier-Med and Casa-Marina, Prestige Projects in Morocco: New Capitalist Frameworks and Local Context. Built Environment, 36, 2, 176-191. Barthel, P. A. (2014). Global Waterfronts in the Maghreb: A Mere Replication of Dubai? Case Studies from Morocco and Tunisia. In Wippel, S., Bromber, K., Steiner, C., & Krawiets, B. (E.ds), Under Construction: Logics of Urbanism in the Gulf Region (pp. 247-258). Routledge: New York, NY. Berry-Chikhaoui, I. (2010). Major Urban Projects and the People Affected: The Case of Casablanca’s Avenue Royale. Built Environment, 36, 3, 216-229. Bogaert, K. (2018). Globalized Authoritarianism: Megaprojects, Slums, and Class Relations in Urban Morocco. University of Minnesota Press: Minneapolis, MN. Bogaert, K. (2011). New State Space Formation in Morocco: The Example of the Bouregreg Valley. Urban Studies, 49, 2, 255-270. Bogaert, K. (2011). The Problem of Slums: Shifting Methods of Neoliberal Urban Government in Morocco. Development and Change, 42, 3, 709-731. Clark, J. (2018). Local Politics in Jordan and Morocco: Strategies of Centralization and Decentralization. Columbia University Press: New York, NY. Houdret, A. (2017). Decentralization in Morocco: The current reform and its possible contribution to political liberalization. Discussion Paper 11/2017. German Development Institute. Mouloudi, H. (2010). Reactions ‘From Below’ to Big Urban Projects: The Case of Rabat. Built Environment, 36, 2, 230-244. Murray, Martin, J. (2017). The Urbanism of Exception: The Dynamics of Global City Building in the Twenty-First Century. Cambridge University Press: Cambridge, United Kingdom. Tsing, A. (2000). Inside the Economy of Appearances. Public Culture, 12.1, 115-144. Wagner, L. & Minca, C. (2014). Rabat Perspective: Colonial Heritage in a Moroccan Urban Laboratory. Urban Studies, 51, 14, 3011–3025. Zemni, S. & Bogaert, K. (2009 ). Trade, Security and Neoliberal politics: Whither Arab reform? Evidence from the Moroccan case. The Journal of North African Studies, 14, 1, pp. 91 – 107. Zemni, S. & Bogaert, K. (2011). Urban Renewal and Social Development in Morocco in an Age of Neoliberal Government. Review of African Political Economy, 38, 129, 403-417.